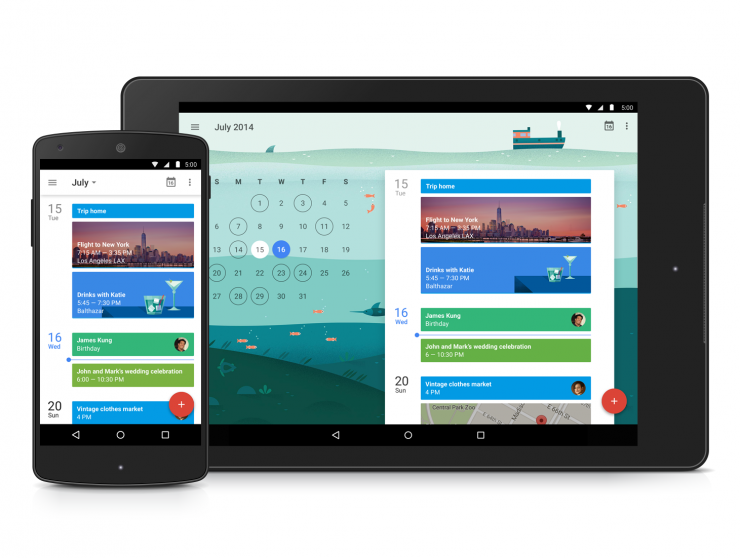 Google announced the release of a brand new Calendar app for Android with a beautiful new design and many new features. The app, however, was only available for devices running Android 5.0 Lollipop with an update for all Android 4.1+ devices scheduled to roll-out sometime soon. Thanks to the folks over at Android Police though, you can sideload the new Google Calendar 5.0 APK on any Android device running Android 4.0.3 or higher. Besides a beautiful new design and a new Schedule layout, Google Calendar 5.0 for Android also comes with a number of other new features including Events that can automatically pull and add any relevant information from the mails arriving in your Gmail account to your calendar. Another new feature in the app is Assists that will provide you with suggestions for titles, people, places and more as you type in a new calendar entry. You can download the APK of Google Calendar 5.0 from here. The APK is signed directly by Google and will upgrade your existing installation of the Calendar app.